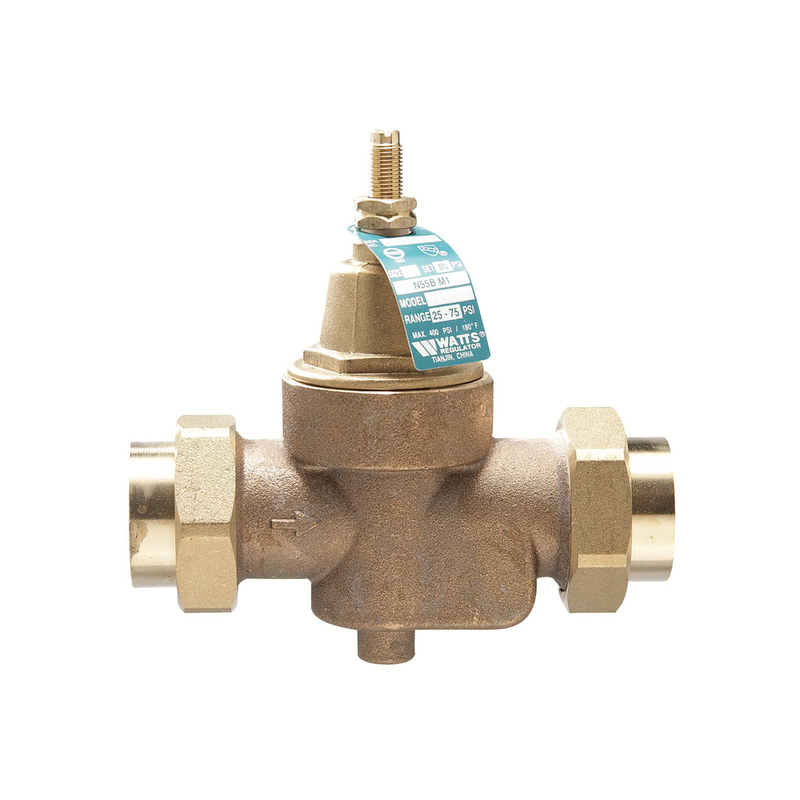 This 3/4 in water pressure reducing valve is used in commercial and residential applications to reduce incoming water pressure for protection of plumbing system components and to reduce water consumption. It consists of a lead free brass body construction, FNPT inlet and FNPT outlet connection, integral stainless steel strainer, thermoplastic seat, bronze sealed spring cage for accessible outdoor waterworks or pit installations and a thermal expansion bypass. The temperature range is 33 to 180 deg F. Suitable for up to 400 psi, the pressure range can be adjusted from 25 to 75 psi with the standard setting at 50 psi.